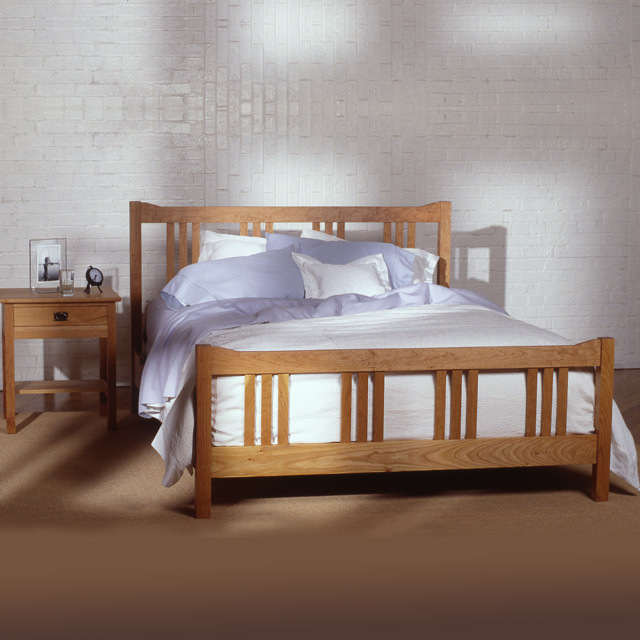 That’s an awful lot of time – why not surround yourself with the style, construction and heirloom quality of custom-crafted furniture. 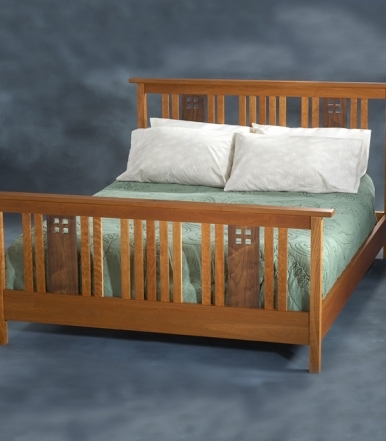 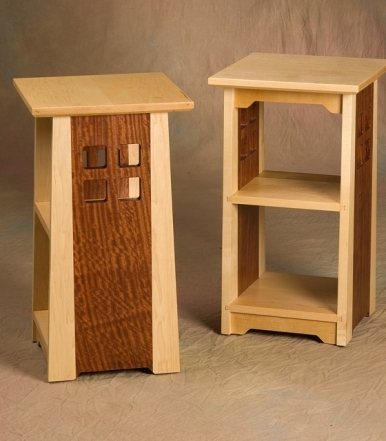 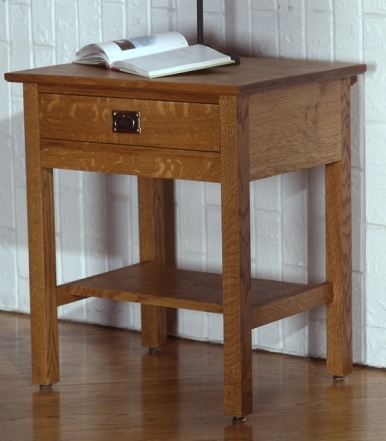 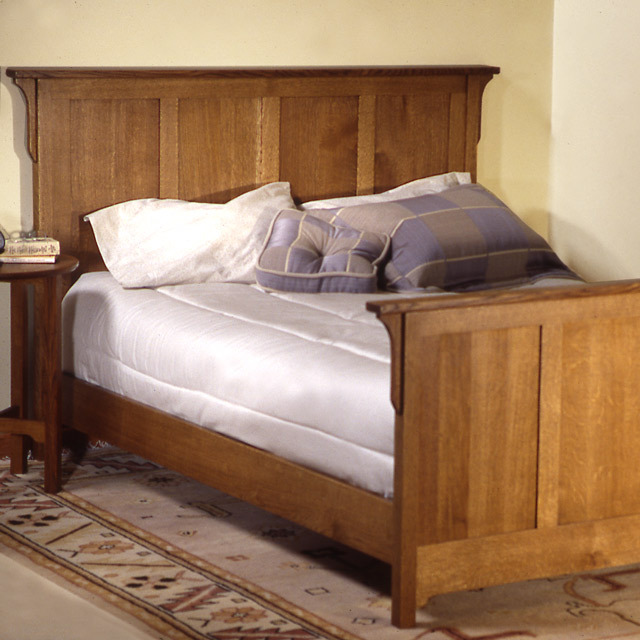 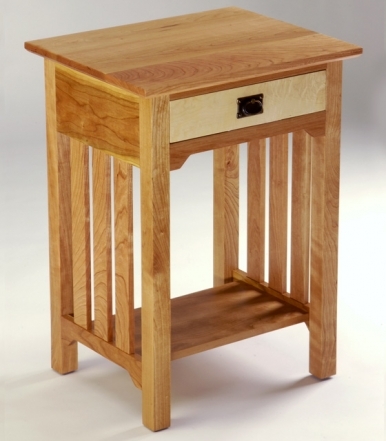 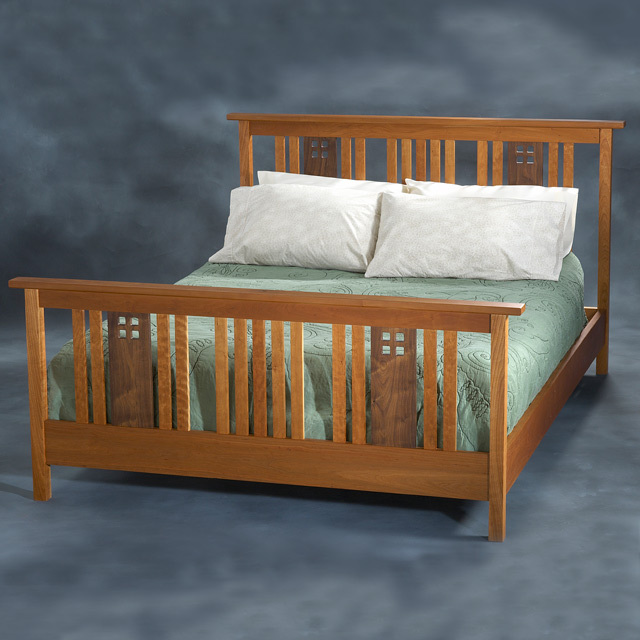 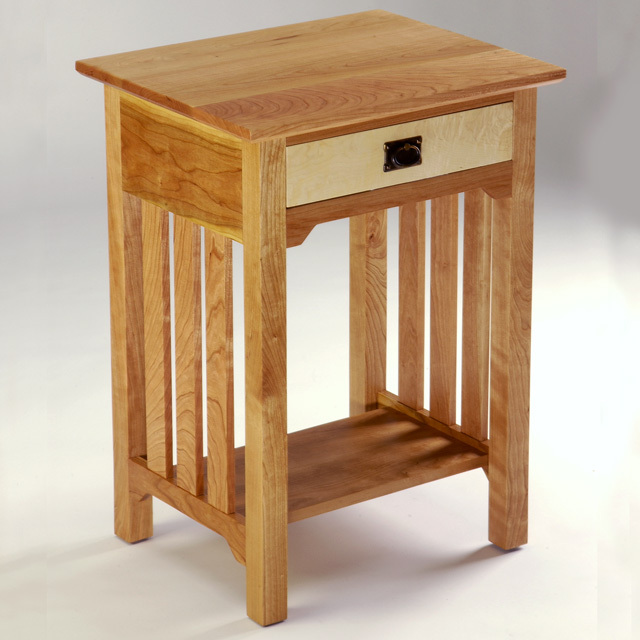 Choose from Prairie-style beds, Arts & Crafts beds (with or without the overhanging top), and nightstands with drawers and shelves. 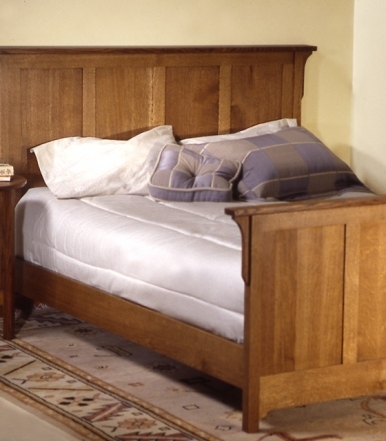 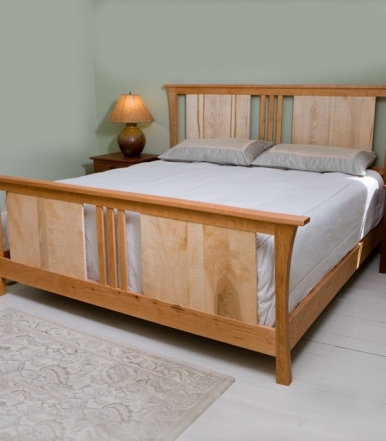 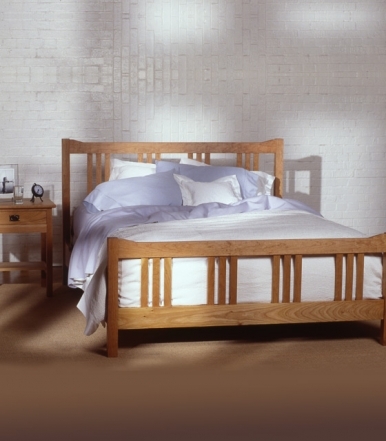 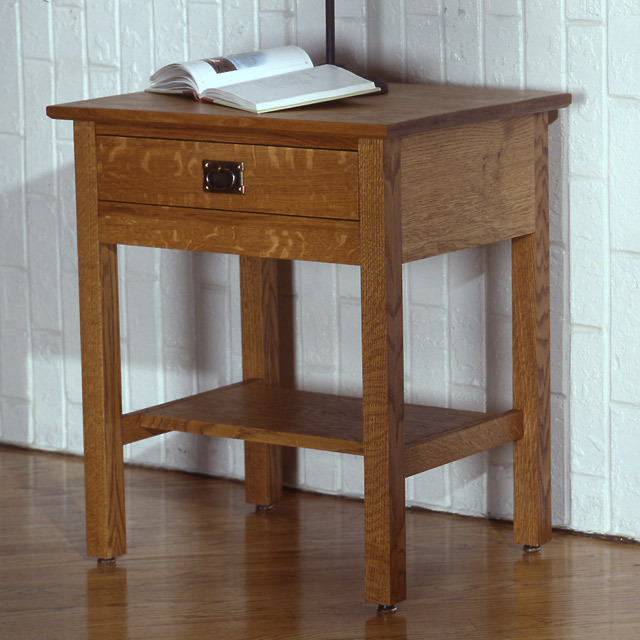 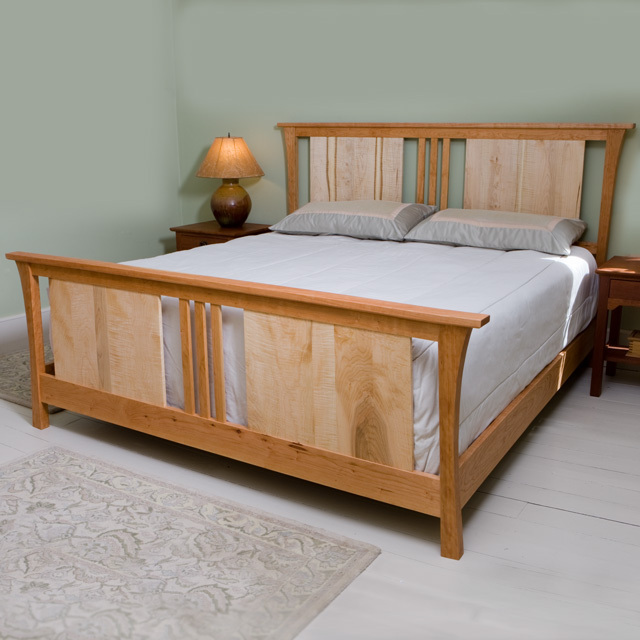 Beds of all sizes and matching nightstands are available in several finishes, and antique stains. 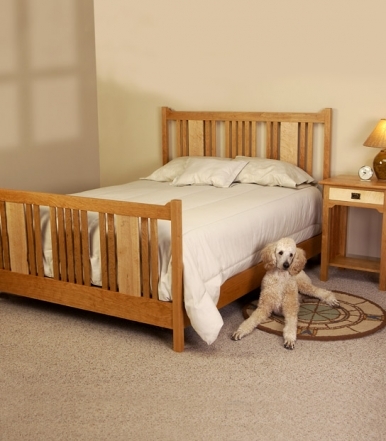 With all my beds, head and footboard heights are customized to your mattress dimensions (Poodle not included). 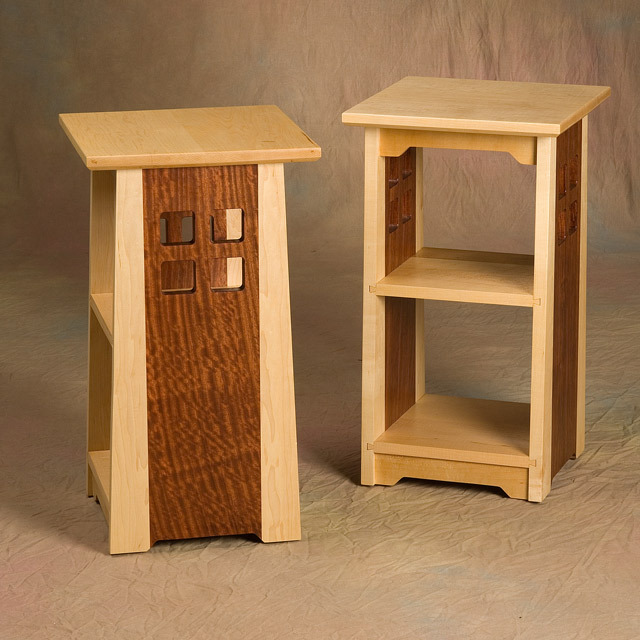 To learn more about the Sandhill Designs dressers and armoires shown here, see my Beds and Nightstands Portfolio.